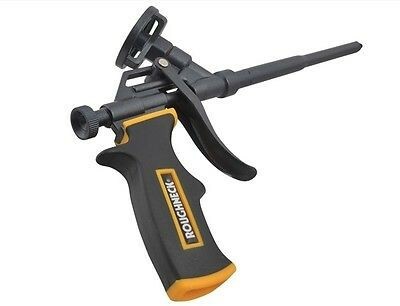 This Roughneck Professional Foam Gun has a large, sturdy metal body with a comfortable soft grip, making it suitable for long working periods. 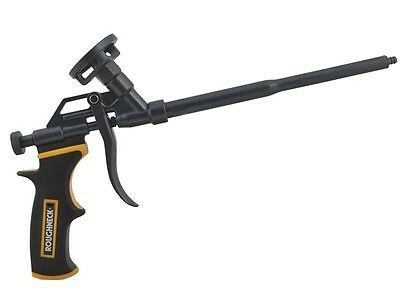 The Foam Gun has a brass barrel, needle and nozzle with TEFLON® coating. The aluminium body is also coated with TEFLON®, which is non-stick. 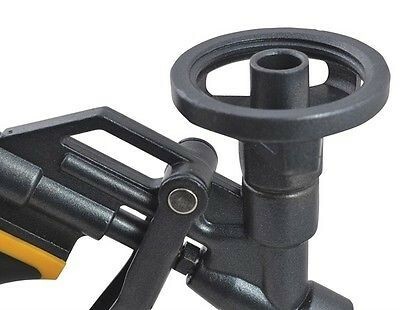 It has a flow adjusting knob for greater control and a can holder adaptor. Ideal for the following applications: Filling: Gaps in brick, concrete, stone and plaster. Gaps and holes around pipe work and duct work. Spaces around window frames and door frames. Deep joints before applying plaster or sealant. Insulating: Internally for exterior walls. Soffits and barge boards. Supplied complete with: 2 x long plastic extension tubes. 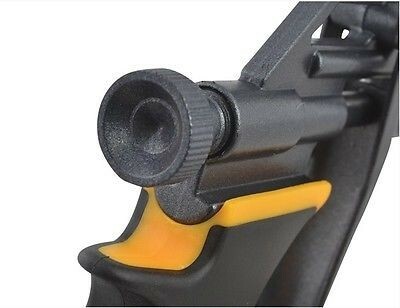 2 x plastic nozzles.